Summit Flyer & Call for Proposals Available here! The summit will share real-world examples of innovations in training and practice, highlight disruptors such as telehealth and team-based care, and provide interdisciplinary attendees with ample opportunities to network and share their success and challenges. See flyer for details, registration available in May 2019. 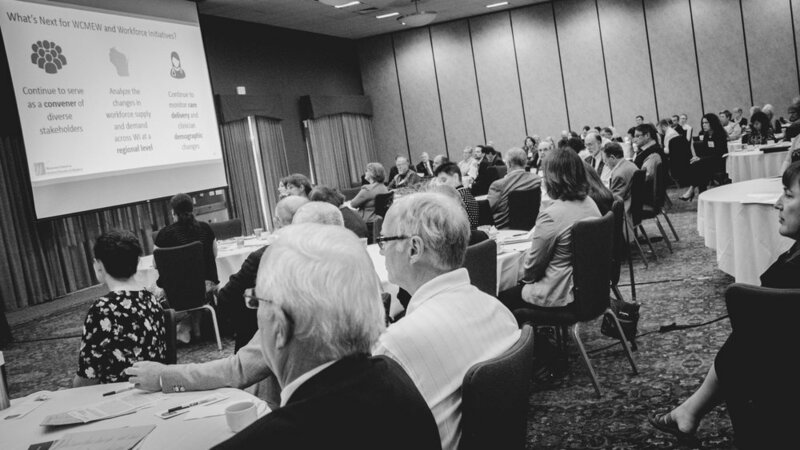 The Wisconsin Council on Medical Education and Workforce (WCMEW) is a non-profit, multi-stakeholder organization whose purpose is to facilitate strategies to ensure an adequate supply of health care providers to meet the needs of Wisconsin citizens today and into the future. WCMEW serves as a convener, bringing together professionals from across clinical areas and other stakeholder groups, such as rural hospitals, and leaders in education and training. WCMEW facilitates various work groups that address health care workforce needs through development of publications, educational events including conferences, and discussion of workforce data.